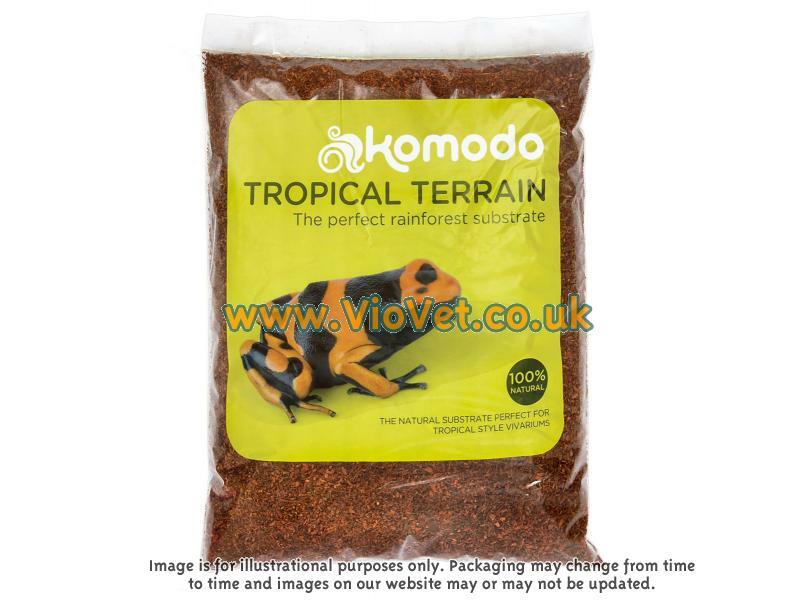 Komodo Tropical Terrain is ideal for both rainforest environments and woodland habitats and encourages reptiles natural burrowing behaviour. Tropical Terrain reptile bedding is ideal for encouraging humidity and perfect for lizards and snakes. It can also be used as a heat mat to develop warmth and humidity, simulating the natural forest floor found in tropical jungles. 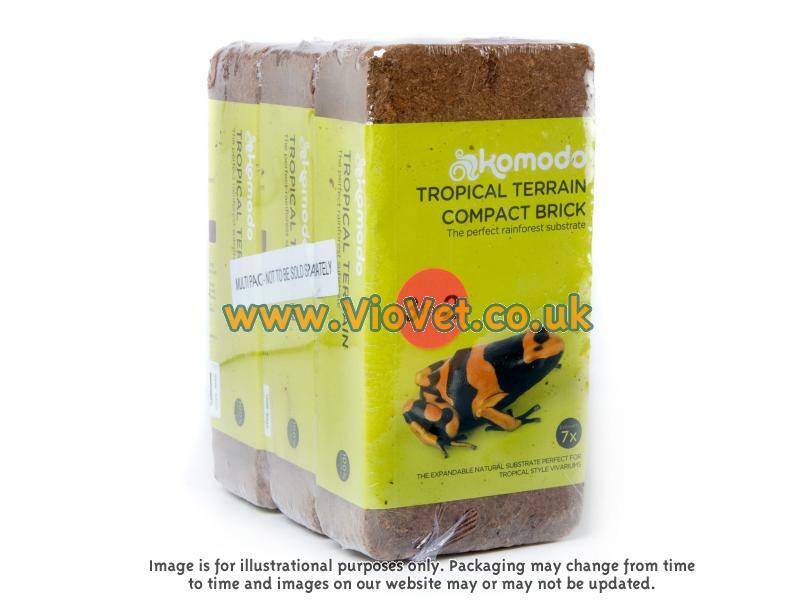 The Compact Bricks expand to seven times their size when soaked in water making them the conveniant way of storing your substrates. This bedding is ideal for use with a heatmat, creating a moist humid environment for the likes of crested geckos. 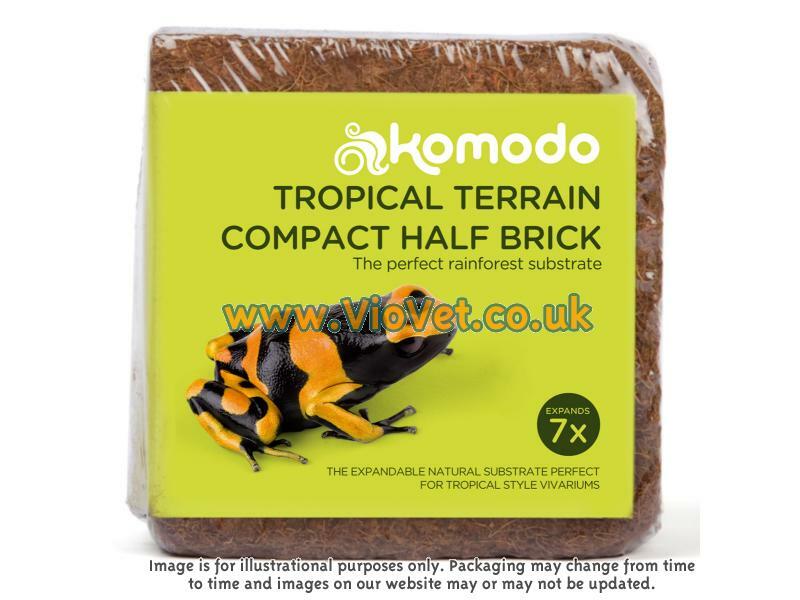 Komodo Tropical Terrain Compact Bricks are expandable natural substrate that are perfect for a range of moist habitats. Komodo Tropical Terrain is made from cypress bark. This substrate is mould resistant, 100% organic and is ideal for a humid environment. Reptiles and spiders love to burrow in it and it is ideal for scorpions too. 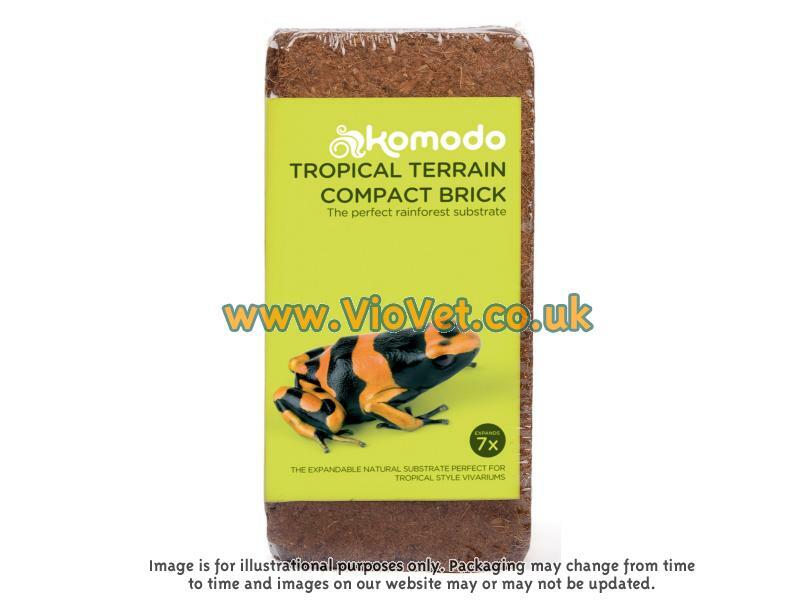 There are currently no questions for Komodo Reptile Tropical Terrain - be the first to ask one!